If you have a number of Next Actions due on the same day, and want to prioritize one above the others; you can now quickly select this action and drag it to the top of your list. Use this drag & drop feature to quickly update your Action Stream and focus on your highest-potential or most urgent contacts first. A contact who needs to be prioritized can be quickly moved to the top of your Action Stream. 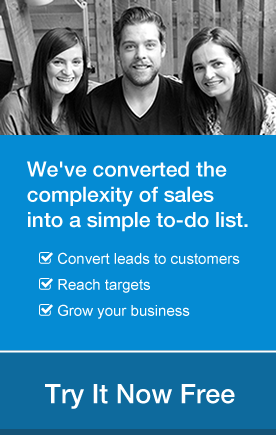 You can stay focused on the actions with contacts which help to generate the most revenue for your business. A contact who is at the top of your Action Stream but not available to speak at the moment; can be quickly moved down the list without updating their Next Action text. Drag & drop does not permanently adjust the order of your Action Stream. It’s only recommended for use when working through your contacts. The new order can be undone, by clicking the refresh button or by selecting a filter to sort your contacts. 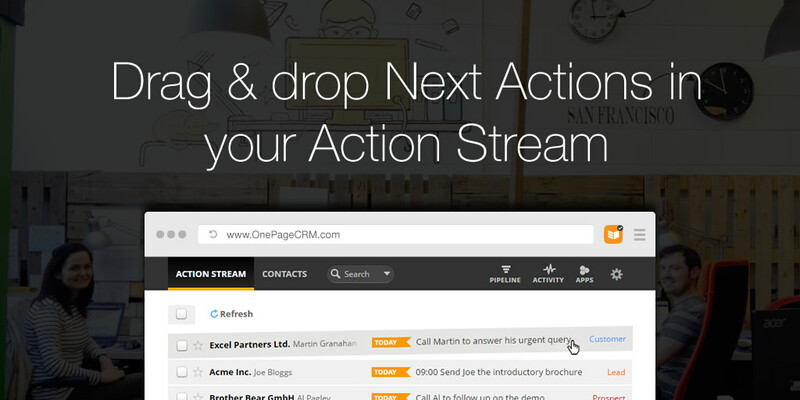 Let me know what you think of our drag & drop feature, email brianm@onepagecrm.com or comment below. Great to see that you like it Marty. Useful new feature – but it would be really helpful to have the option of retaining the new ordering if desired. Thanks for your feedback Mike. It’s mainly designed to help with prioritizing contacts while you’re actively working through your Action Stream, but I can see where it would be practical to retain the order. We’ll take this on board going forward. Thanks, Brian. Thanks for your feedback Stuart. I’ve taken a note re: Drag and Drop saving. After this, any contacts you tag in bulk will be in this filter for you to prioritize on a given day.